Artist's rendering of Pattison Place offices proposed for the South Philadelphia stadium complex, with the Wells Fargo Center in the background. Comcast Spectacor, owner of the Wells Fargo Center sports and concert venue and the Philadelphia Flyers hockey team, wants to build a glass-sheathed office tower beside its Xfinity Live! entertainment complex as a first step toward developing the sprawling property under its control in the South Philadelphia stadium district. Along with development partner Cordish Cos. of Baltimore, Comcast Spectacor, a unit of Philadelphia-based Comcast Corp., has begun seeking tenants for the proposed tower, which will encompass at least 200,000 square feet. Construction would begin once the building is adequately leased, executive vice president Phil Weinberg said in an interview. Lofty plan to honor the musical legacy of Camden’s Victor building is scrapped. A recycling firm is moving in. Comcast Spectacor, headquartered in an office wing of the nearby Wells Fargo Center, has no plans to itself occupy the proposed $80 million tower, which has been coined Pattison Place, but it has yet to be decided whether others in its “extended family of businesses" might use space there, said Weinberg, who spoke ahead of the plan’s formal announcement Thursday. Also included in the proposal are 20,000 square feet of street-level retail at the site to the immediate west of Xfinity Live!, which also was developed in partnership with Cordish. Artist's rendering of lobby for Pattison Place offices proposed for the South Philadelphia stadium complex. 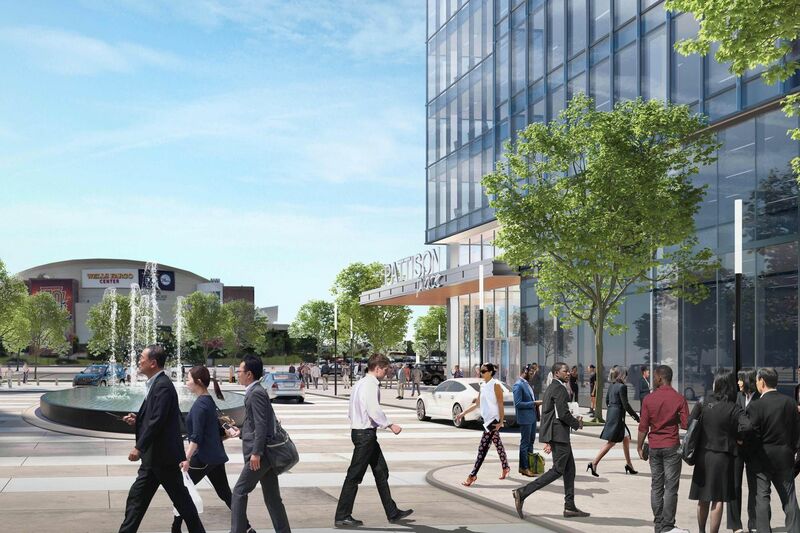 Near the Pattison Place development site in South Philadelphia, Cordish also is working on its own to develop the Philly Live! Hotel & Casino on the site of a former Holiday Inn at 900 Packer Ave. Artist's rendering of Pattison Place offices proposed for the South Philadelphia stadium complex.